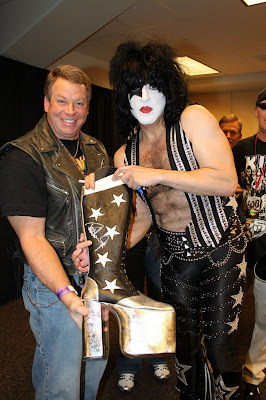 Let me start this testimonial by telling everyone that Barry Carr makes,builds,creates the very best Kiss costumes money can buy. Proof is in the pudding. I would put his costumes up against Kiss's own costumes. If Mr. Simmons was smart he should invest in Barry to build his costumes. So if your reading this blog Gene give some serious thought. It would be money in the bank. I have known Barry for many years and he has come through time after time. With everything he has made. 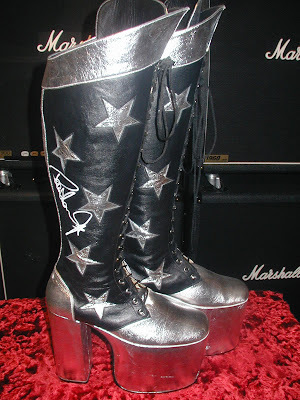 As you can see in the photos I have sent in my latest meet and greet Paul Stanley signed my alive boots. 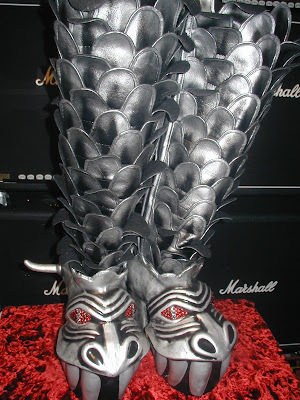 All the members of Kiss were very impressed with the workmanship. So let me tell all who want a costume don't be fooled by the cheap stuff you can get from other makers. They make nothing but junk. Don't listen to the haters internet ramble attacking Barry he is honest and will do great job that you will never regret. I can promise you will be happy with what you buy from Barry Carr costumes they are high quality, strong and made to the original specs. 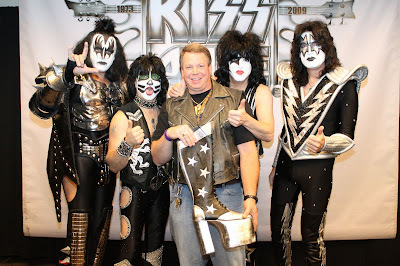 All can say is thank you Barry for being a friend and suppling me with the best Kiss costume I could ever dream of owning. GENE SIMMONS...THE TRUTH IS ABOUT TO BE EXPOSED!